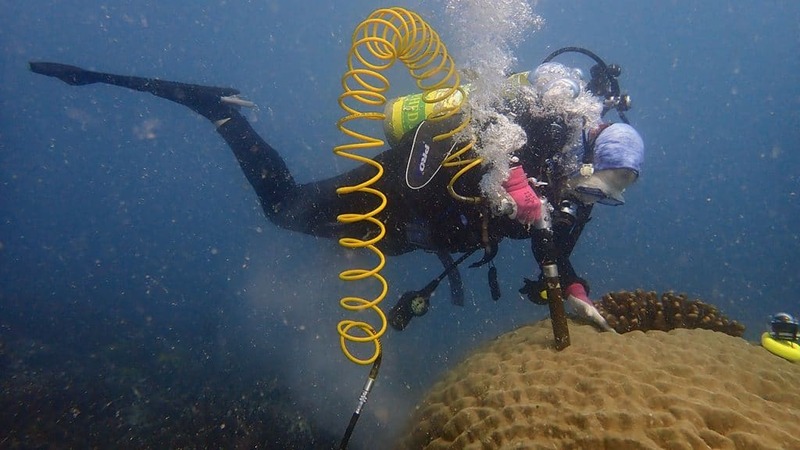 When water temperatures rise even slightly, symbiotic algae that live inside the cells of the live coral start to create toxic substances and are ejected by the corals. 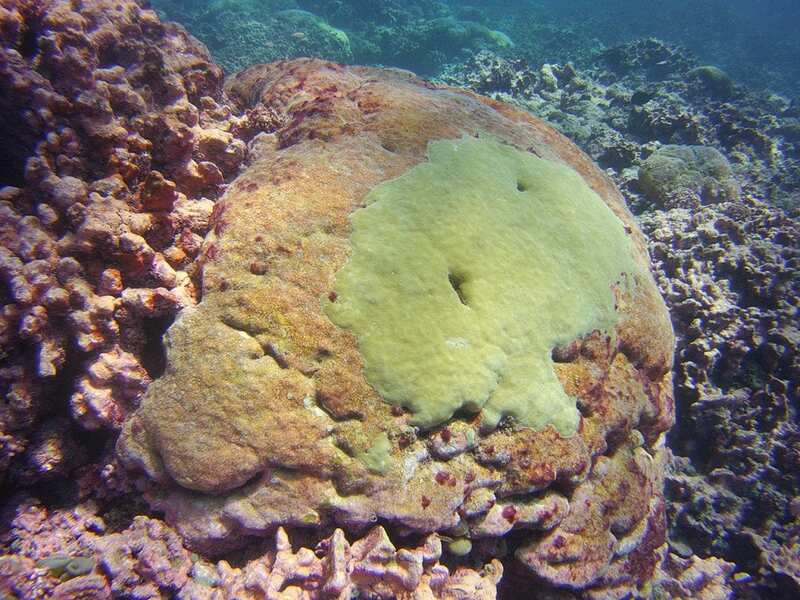 The algae normally provide the corals with food and energy, as well as their bright colors. Without them, the corals appear to be “bleached” white, then starve and die. In their study, Cohen’s team traveled to Jarvis Island, a tiny, unpopulated coral reef island 1,400 miles south of Hawaii, to study the effects of extreme climate on the corals there. Because Jarvis is both remote and part of a marine protected area, it has been home to stunningly rich coral reefs—but with its location in the middle of the Pacific, it also experiences more extreme heat waves caused by periodic El Nino events than coral reefs elsewhere. “The fact that it’s placed right at the equator in the central Pacific puts it at epicenter of El Niño dynamics.” says NOAA researcher Hannah Barkley, who was a graduate student and later a postdoctoral fellow in Cohen’s lab at the time of the study, and is the paper’s lead author. “It’s subject to incredible variability and extremes in temperature.”. Based on their samples, the group thinks that one major reason for the reef’s recovery is the currents nearby. The topography of the ocean floor, combined with the force of trade winds on the surface, brings cold, nutrient-rich water up from the deep. That upwelling feeds a dense array of fish and other aquatic life around the reef, which in turn eat away grassy algae that compete with the corals. In the process, they leave room for new, young coral polyps to eventually settle. But the 2015 Super El Nino caused Jarvis to heat up more than it ever did before, and the bleaching that ensued was the worst on record. 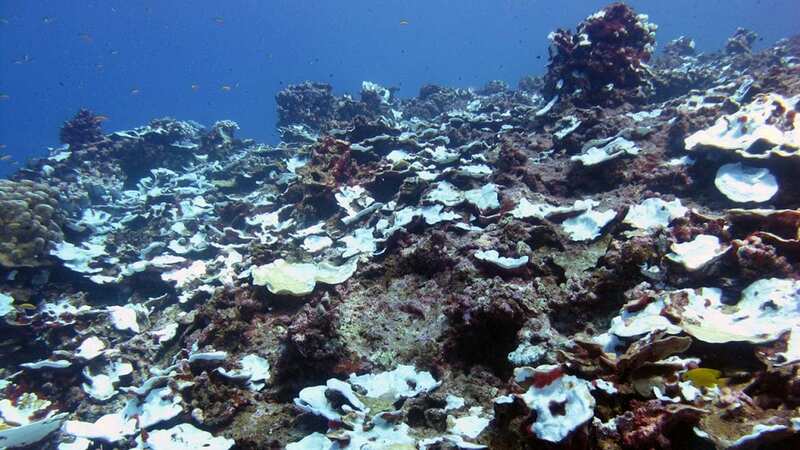 95 percent of island’s corals died.